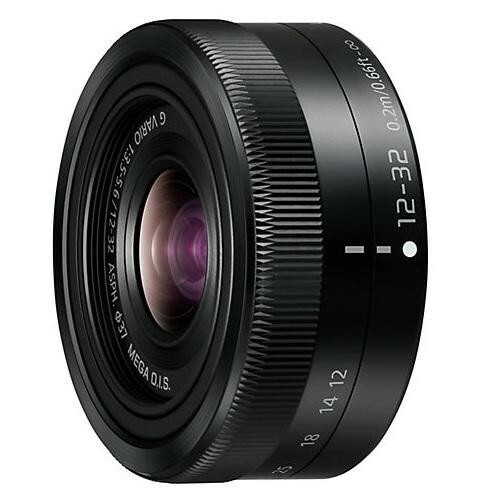 The Panasonic H-FS12032E-K LUMIX G VARIO Lens 12-32mm F3.5-F5.6 Mega O.I.S is the ideal camera lens that is perfect for people who love taking high quality photos. The 12-32mm focal length helps you to achieve detail and conviction in your images and allows you to take a range of images from casual shots to beautiful landscapes. The Mega optical image stabilizer ensures that you get a clear image by cancelling out any hand shakes and the 240 FPS drive capability allows you to attach this lens to a high-speed, compact system camera.